Garage parking is also available right next door at the 280 Congress Street garage. We offer in-house catering / private dining packages for groups from 20 to 400. Contact our Private Event Manager for details. Enjoy Waterfront Luxury at Atlantic Wharf in Boston's famed Seaport District. 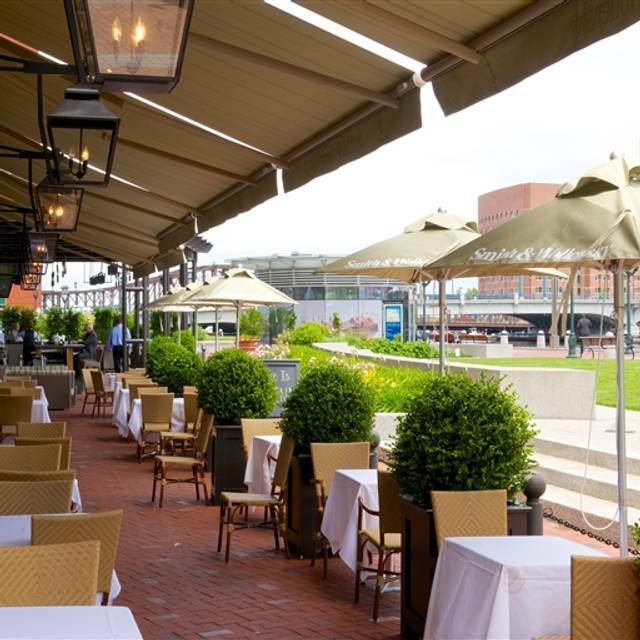 Located between the Rose Kennedy Greenway and historic Boston Harbor and Fort Point Channel. Offering a breathtaking waterfront view, the 10,000-square-foot space features an outdoor patio, bar and lounge that add to the restaurant's relaxed and upscale harborfront experience. The European-style exposition kitchen provides culinary entertainment while lush furnishings of wood and leather create a cozy and inviting interior retreat. The restaurant is open for both lunch and dinner. Join us on Mother's Day and show true appreciation for the Moms in your family. Offering our Dinner Menu all day, you can indulge in our hand selected, Prime Grade, Aged Beef and Wagyu selections. Leave it to our team to pair the perfect wines with your dinner. We look forward to serving you! Great food, time, service, and overall experience!! The $80 special is totally worth it, the food and the wine selection were great. I would definitely go back and already have recommended it to my friends. Everything was perfect! Our meal was incredible, the dessert was delicious, and the service was impeccable. $80 four course wine meal is a great deal. Food was delicious and sever made sure the glasses were always full. Terrific experience all around. Great food, service and setting. Food was great, but the cold air from the AC kept going on and off so it was a little chilly. 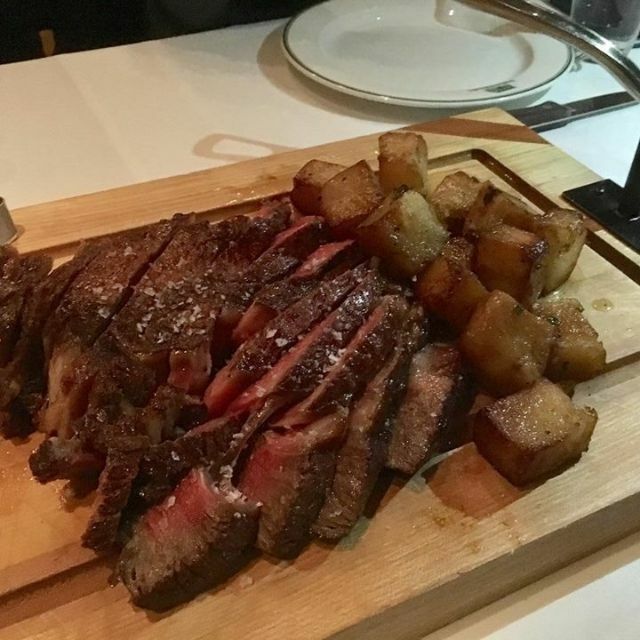 Really enjoyed our Dry Aged 46oz Porterhouse last night! Love that their beef of grain fed-makes such a delicious difference vs corn fed to us Canadians. Great cocktail and wine menu and the staff was wonderfully attentive! Fantastic way to end our last night in Boston! Mi Hija vino a verme. The food and atmosphere were amazing!!! Although I dine here frequently and sit at the bar. 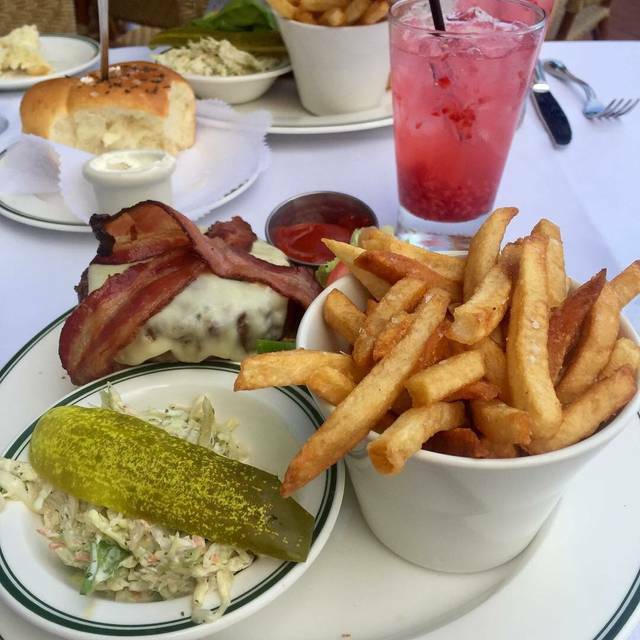 Smith Wollensky on the wharf is perfect for any occasion. One of my favorite bone in ribeyes. Always fantastic! Great setting, fun evening and good food. Looking forward to returning. We enjoyed our dinner as usual! Claudia, our server, was once again a gem. She was on top of everything from the minute we sat down. She's lovely and truly enjoys helping her diners have a great experience. S&W used to be our go-to neighborhood restaurant because it's close by and the food was consistently excellent. We dine there at least once or twice a month. I could always count on getting a mouth-watering, delicious steak -- something worth the money and the calories. The last few times we've been there, though, our steaks have been cold, well undercooked for "medium" or just not tasty. I've either sent the steaks to be cooked more or just sent them back. We're not sure what's happened recently but this last time, we weren't even asked how our meals were even though I left my steak on the plate uneaten and didn't ask to take it home. With all of the new restaurants in the Fort Point Channel/Seaport area, I'm not sure it's worth taking a chance on S&W any more. Robin, Happy to hear you enjoyed your "After Eight" experience with us. Hope to see you again soon! I went here last weekend for dinner and it exceeded my expectations. 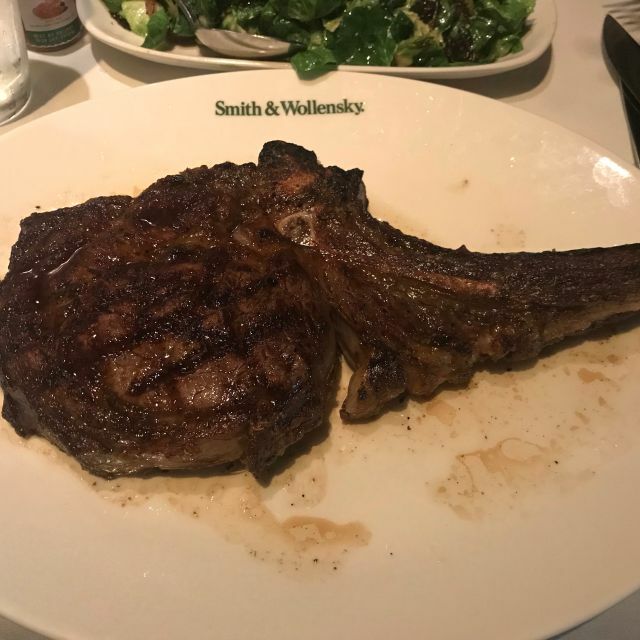 My finance and I had the Tomahawk steak for 2. The presentation and quality of the food did not disappoint. The service was great all night as well. The kitchen brought out a small appetizer on the house because this steak takes a bit longer, it was just enough! Will definitely go back!! Cat - happy to hear you had a great experience with us! We look forward to your next visit. I miss the Back Bay Castle location. The food was average and my wife ordered everything without onion and it all came with onions of course. Side were just okay and we didn’t feel enough for the money. Won’t be going back. It’s too bad as we celebrated our anniversary every year for a long time there. The location is fantastic, and the food was very good. We did get a waiter who's first night was our lucky day, so there could have been better service. All in all a bit overpriced for what we got in return, however, still a great meal. Excellent food and great service. Steak was perfectly cooked and very flavoursome. We’ll return when next in Boston! Louise, Happy to hear that you enjoyed your visit with us! We look forward to your return. Cheers! HAD AN AMAZING EXPERIENCE, HIGHLY RECOMMEND TO ANYONE TO ASKS!!!! CHRIS THE MANAGER WAS GREAT. They are very accommodating. Decent food. We used to go to the one in the Castle, but that one has since closed down. Link, Thank you for the kind words and the 5 stars! We have a bunch of our staff from the castle working here now that I'm sure would love to say hello! We have eaten at the armory location many times. This location was disappointing. 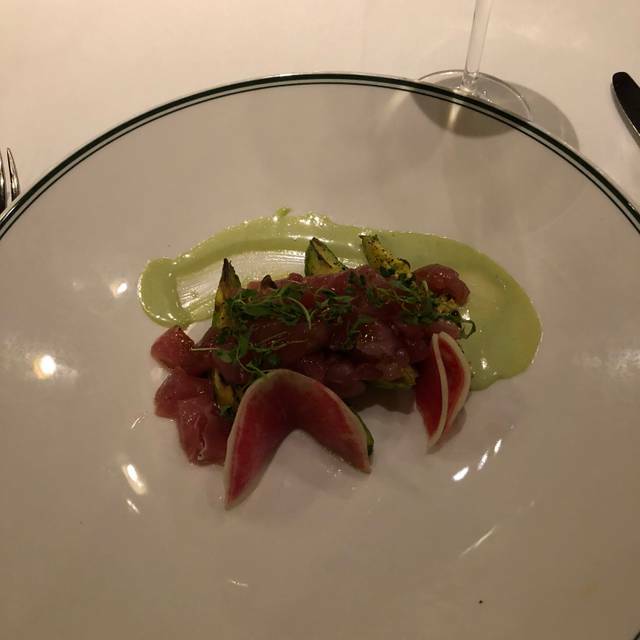 The tuna poke did not taste fresh, the carpaccio was good but lacked something. The ceasar salad was fair. 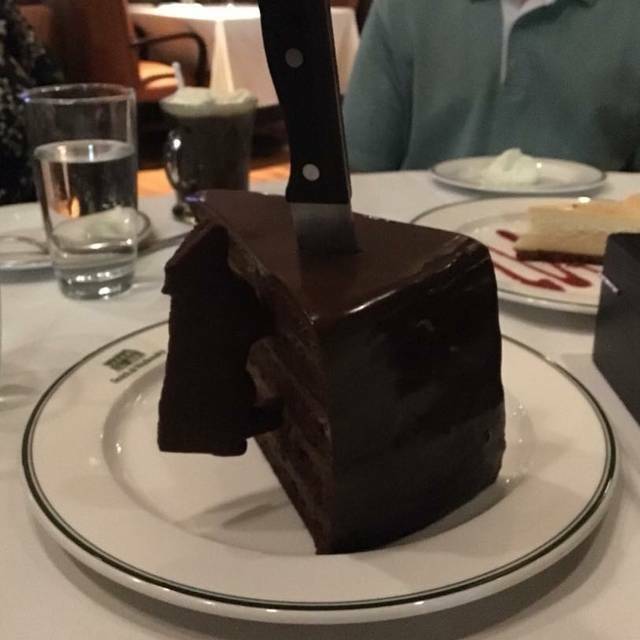 The filet was undercooked. Our waiter was friendly but could have been more attentive. The ambience, food, and service were amazing! Our server Maria was great; even had a protégé during the evening 😀. Abby - glad you enjoyed your visit with us! Maria is one of the best, for sure! We'll be sure to recognize her for her efforts. Great meal and service at S&W, as usual. The entrees were all excellent. Gerry - glad you enjoyed your visit with us! Cheers! The manager was spot on and made us feel welcomed as well as special.with a great secluded table in the corner. Our waiter Chris was great and provided the level expected service at this type of place,(high end steakhouse). We love this place and cant wait to return....Oh yeah food was incredible!! Matt - really happy to hear you enjoyed your experience with us! Will be sure to recognize the manager and your waiter for their efforts! We had the Porterhouse steak and it was rather average. Premium prices deserves premium beef. On the other hand, service was attentive but not overbearing. Ambiance and decor are outstanding. If you want to impress, come here. If looking for a great steak, find another steakhouse. This place is top notch! Can’t say enough about the food and service. Great location as well! The After 8 Nightly $80 Wine Dinner at Smith & Wollensky is unbeatable! Great food at a great price. Sarah - happy to hear you enjoyed your After Eight experience with us! Thanks for the great rating! Happy to hear you enjoyed your visit with us! Cheers! Nice location, fantastic tomahawk steak prepared to perfection! Glad to hear you enjoyed your time with us! Thanks for the 5 stars! My husband and I went there for dinner for his birthday. 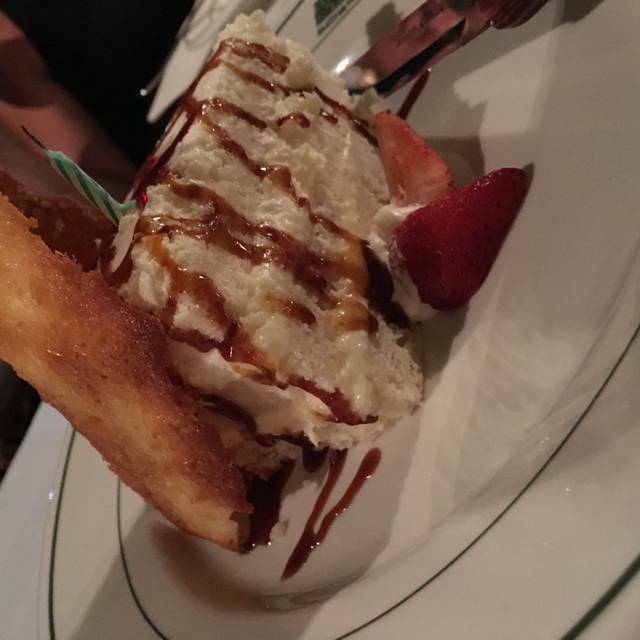 We had wonderful service and the food was perfectly prepared and presented. 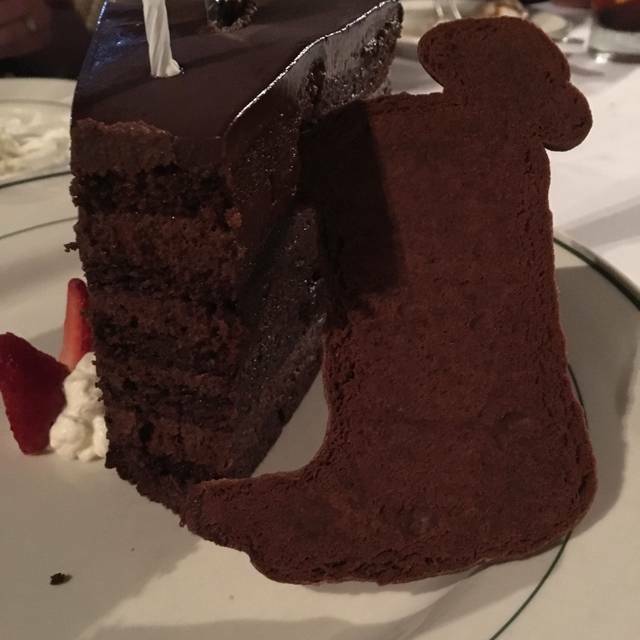 The restaurant gave him the biggest piece of cake I have ever seen. It was decadent and delicious. A bit pricey overall but wonderful for a special occasion. Lynne - happy to hear you and your husband enjoyed your visit with us for his birthday! Hope to see you again soon! Denise - Glad to hear you had a great experience with us. Hope to see you again soon! Leah was an amazing waitress- she was extremely attentive recommended the perfect portions for our group. 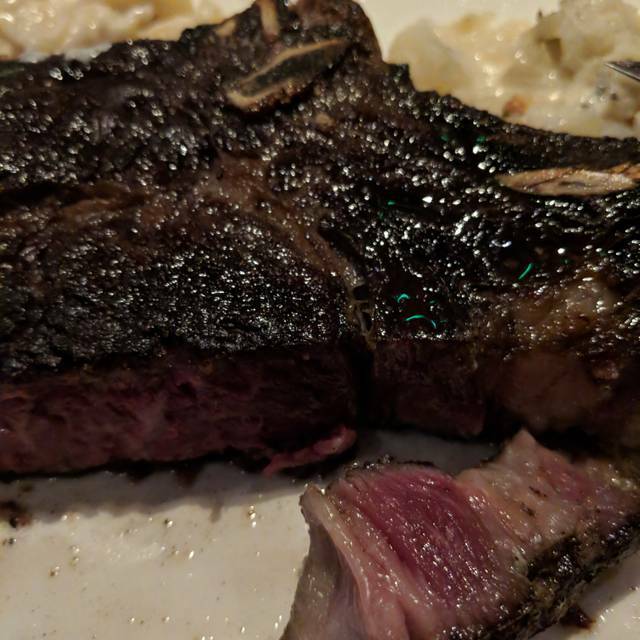 We were a group of 9 to celebrate a special Birthday - per Leah’s recommendation we ordered two dry aged hanging Wagyu Tomahawks and one dry aged Porterhouse along with various sides. Leah provided each of us Carpaccio as an app to make up for the long wait time. To celebrate the birthday we received complimentary chocolate cake and after my boyfriend proposed Leah provided us with champagne to toast the occasion!! It was such a magical moment - I couldn’t ask for more! Wow! Thank you for all of that great feedback! Happy to hear you had a memorable experience and we will certainly recognize Leah for her efforts! Sides and appetizers were very bland. Service was terrible. Manager never came over and checked on us as he did everyone else. Fellow Gluten Free diners beware, not many options of gluten free items for an appetizer or dessert. For the price, I expect a gluten free bread option to be offered. The food was average, for the price I expected better.